Football is the most popular sport in Ethiopia. Although not one of the leading footballing nations in Africa, Ethiopia has produced some outstanding teams at both club and international level as well as some talented individual players. Football in Ethiopia came under the control of the Ethiopian Football Federation (EFF) when that organisation was founded in 1943. The EFF affiliated to FIFA in 1953 and to the Confederation of African Football in 1957. League football was in existence before the formation of the EFF with regional leagues contested during the 1938/39 and 1939/40 seasons in the provinces of Eritrea, Harar, Amhara, Shoa and Oromia – Sidamo as part of the Italian occupation. The first recognised version of the Ethiopian Premier League was contested in 1944 when five teams representing the various communities of Addis Ababa competed for a title won by the British Military Mission-BMME. 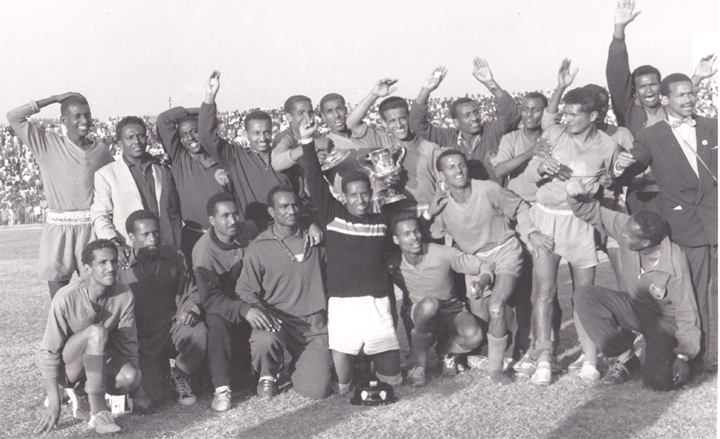 The Ethiopian Cup was added the following year and has been contested regularly since (albeit with some gaps, notably in the 1960s). The league has been an annual competition since 1948 with Saint George FC emerging as the country’s leading club with 24 titles. Ethiopia was suspended by FIFA in 2008 after the Federal Parliamentary Assembly sacked Ashebir Woldegiorgis from his position as EFF President and replaced him with their candidate Ahmed Yasin. As a result FIFA, who oppose government interference in football, suspended the country in July 2008. The suspension was lifted in July 2009 following the election of new EFF leaders. The Ethiopia national football team made its first appearance in 1947 and since then have enjoyed both highs and lows. As one of the few independent African states in the immediate aftermath of the Second World War Ethiopia were an important team in the development of the international football in the continent. Ethiopia was one of the pioneers of the Africa Cup of Nations and were one of only three teams to enter the inaugural 1957 tournament, finishing as runners-up to Egypt. They were also present at the 1959 tournamentAs hosts of the 1962 tournament and led by goalscorer Mengistu Worku, Ethiopia defeated Tunisia and the United Arab Republic (Egypt) to be crowned African champions for the only time in their history. They hosted the tournament again in 1968 and 1976 but by then decline had set in and their last appearance in a finals tournament came in 1982. 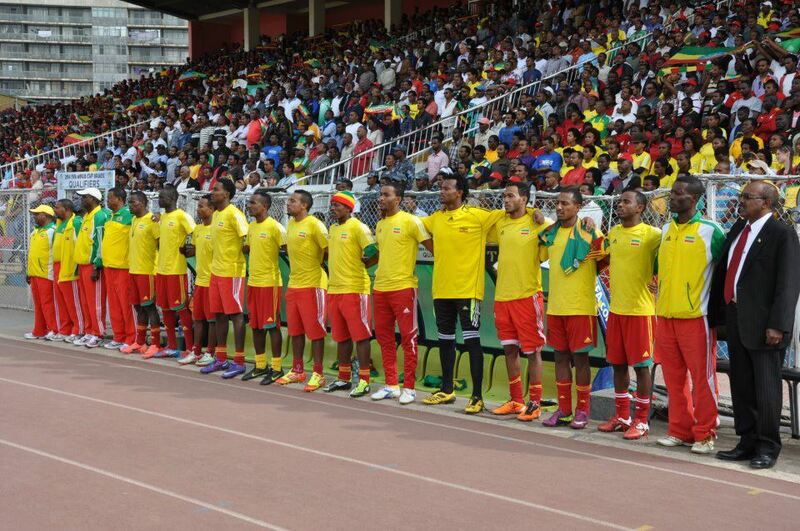 Ethiopia have never qualified for the FIFA World Cup. Ethiopia are also members of the Council for East and Central Africa Football Associations (CECAFA) and take part in its competitions. They first won the CECAFA Cup in 1987 as hosts and repeated the same triumph in 2001 and 2004 before adding a fourth title in Rwanda in 2005. In 2005 the Under-20s team won its sole CECAFA U-20 Championship. No Ethiopian club side has ever won the CAF Champions League or any other international club competitions. The best performances were the semi-final places achieved by the Cotton Factory Club in 1964 and Saint George in 1967. The Ethiopia national football team—nicknamed “Walia Antelopes” after the Walia ibex, represents Ethiopia in association football and is presided over by the Ethiopian Football Federation, the governing body for football in Ethiopia. The team has been representing Ethiopia in regional, continental, and international competitions since its founding in 1943. The Walia Antelopes play their home games at Addis Ababa Stadium located in the capital city of Addis Ababa. They are currently ranked 95th in the world according to the FIFA World Rankings and 26th in CAF. The team is currently led by head coach Sewnet Bishaw who has been at the helm since November 2011. Under Sewnet, the team has succeeded in qualifying for the 2013 African Cup of Nations after a 31 year absence. Related Post "Football in Ethiopian History"